It’s said that date palm trees want their feet in water, and their heads in fire. It makes sense, then that more than 90% of the dates harvested in the U.S. grow in California’s Eastern Coachella Valley. Irrigation water’s pumped here from the Colorado River, and summer temperatures can top 120 degrees. 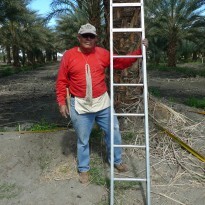 Reporter Lisa Morehouse spent some time in the Eastern Coachella Valley this spring, and got curious about the history of dates here, and about the palmeros, palm workers, who tend them. Come explore some of them. California’s cities and small towns are intertwined. Can you imagine San Francisco developing without Gold Rush towns? Today, though, rural California’s defining industries — like fishing, logging and agriculture — have died or changed. To survive, small towns adapt. How they manage impacts all Californians. After The Gold Rush shares voices, sounds and stories of rural Californian through short audio profiles (from ranchers to young law enforcement trainees) and longer stories aired on public radio. We’ll continue to add lots of profiles and stories so keep checking back. 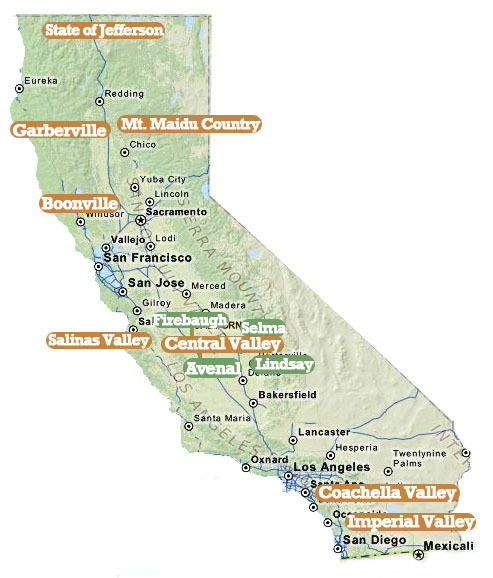 Explore some of the many Californias below either via location on the map or theme.